Arrive in Style! Butterfield Limousine Service will find the right limo or chauffeured transportation option for your event. Whether you are going to the airport, planning a wedding, going to prom or heading to the big game; we have what you are looking for! The importance of getting the best vehicle and service for your money is how we do business. Since there are many factors to consider when booking limo service, we hope these helpful tips guide you to get the most from your luxury transportation experience. Tip #1 - Know Before You Go! Getting the right limo depends on the type of occasion, number of people, number of hours you'll need and how far you're going. Most companies will need to know if your limo booking is for a wedding, concert, prom, birthday party or maybe an anniversary since they often specialize in certain events to deliver the best possible experience. The more details you can provide, the better the value and service you'll receive. Get the best service at the best price because not all limousine services are equal. Price should not be the only factor in your limo search; much like renting a hotel, different price points means different service levels. It’s good to have a budget determined ahead of time but also think about what type of experience you want for your special occasion. The right vehicle, a limousine bus for your next bachelor party or a white SUV limousine for riding off in style from the wedding, makes all the difference!. Ensure the vehicle you're getting has the space, features and look for your next event. Try to book a vehicle that has room for at least one to two more people than are in your party. Some companies provide music, so ask in advance or be prepared to take your Digital Music Player or a mix CD with enough music to last the whole ride. Also make sure to ask about features such as the seating arrangements and luggage capacities. A package is often the best choice for special occasions like weddings, concerts, prom, sporting events or other ride types with a predictable start and end time. Packages will generally provide a set number of hours in a vehicle that fits your party size and event for a fixed, all-inclusive price. Some companies offer packages for every type of service and most give substantial "bulk rate" price breaks.. Always reserve early, especially for big events! Start searching well before you need your limo. For weddings, some people book 12-18 months in advance. Other events, like proms, are best to book a limo a few months in advance. In general, it is best to start looking 3-4 weeks before your event. After you've selected the right limo service provider, get confirmation in writing. For special occasions, it's generally a good idea to contact your limo service provider a week before the event, just to ensure everything is confirmed. The most important thing to consider when booking a limo is safety for yourself and your party. Legitimate limo companies need to be registered with their province, have the proper levels of insurance and be properly licensed. Never book a limo with a company that can't promptly show you their licensing and insurance credentials - don't take chances. Think about all the details of your ride experience. Do you need ice or drinks? Do you have a preferred route for your ride? What stops would you like to make? 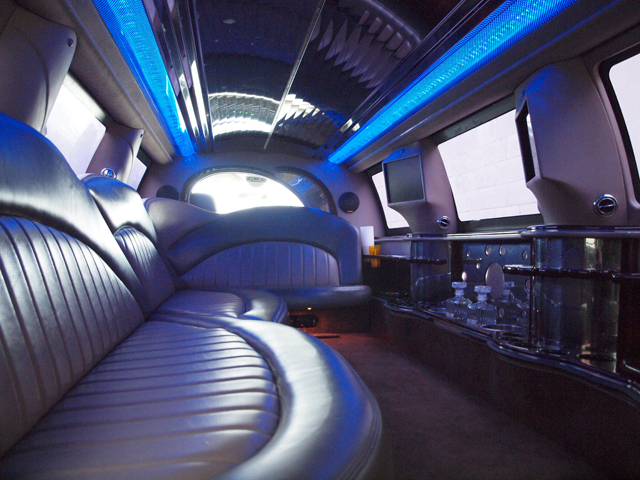 Providing these details to your chosen limo service provider will help them meet your needs - for the right price.